Der Beitrag wurde am Donnerstag, den 22. Juli 2010 um 00:07 Uhr veröffentlicht und wurde unter main abgelegt. Du kannst die Kommentare zu diesen Eintrag durch den RSS 2.0 Feed verfolgen. Kommentare sind derzeit geschlossen, aber Du kannst dennoch einen Trackback auf deiner Seite einrichten. Hi. Is it possible that you didn’t define a output location and checked the save file checkbox in the render settings dialog? Amazing stuff ! Thanks for great work ! Any ideas of implementing render passes with automatic names as well when using render stereo function please ? Thank`s a lot, great work !!! All the best. @DD: Does it always occur or just sometimes? Always. No matter what type of anaglyph render. I am using max 2011 x64. I can manually composite each frame but as soon as run a sequence and it finishes the first right eye image, that error occurs. It continues to render the right eye and giving that error with no composite. Man, I left the answer two weeks ago but it isn’t here. Yes, it happens ALL the time. No matter what Max file is used. This is really troubling, now, as I am in need of many many renders. oh. sorry. I forgot to authorize your last comment. I will take a look at the composite feature as soon as possible and do more debugging. Sorry for the troubles. Hi. Thank you. A client’s business depends on it. I am unable to reproduce the quality in either AE or Stereoscopic player. I imagine it has to do with the amount of time it takes to render? Any way to reproduce the quality in AE? The 3d effect is WAY less apparent when I use AE. You are probably talking about the optimized anaglyph option. Have you tried the optimized anaglyoh filter for After Effects from my blog? Hi. Yes, I have tried it. I am unable to get anywhere near the quality that I get from a direct render in Max. I assumed it was the time it took to composite the image. It just appears much more flat in AE and in SScopic Player. Are you able to match the quality in AE of the Max render? Perhaps I should attempt again if you can do so.. Thanks for all the help, I love this rig. Hi. Making any progress on that front? I tell you I am addicted to this plug-in and cannot wait to be able to render a sequence. Also, your post says that the camera does not work with cropping but I render cropped stereo shots everyday. If by that you mean the crop option in the render config box. No idea what has or had happened, but it works fine in AE. This is plenty good enough for me, thanks. Better, maybe. Just popping back to say thanks again for this excellent script :-D. I’m currently making good use of it for an upcoming conference that will be presented in S3D. Lots of moves in and around a city, rendered with VRay. Previews so far have blown the client away and I wouldn’t have been able to do it half as quickly and efficiently without your script. Thank you very much Andy. Comments like yours are really motivating. Good luck with the client. Hello, im having aproblem with the script, i begin a project, use the script works fine, save it, then reopen it and the script not working fine, the preview button gives me a error and cant render to see the result. How can i fix it, or what should i do. I dont have the script in the start up of max folder. Hi, really great script ! But I´m having one serious problem, if my Vray physcam has a clip plane, the stereo cams had it with wrong values, and they are not editable… any sugestion on how can I solve this ? I use centimeters on system and display units, maybe it is a unit issue ? Please help… Thanks again for a great script. uh. I have linked the clipping planes to the near and farplane of the stereocamera. It shouldn’t be a problem to undo this manually though: go into curves editor with one of the physical cameras selected and find the clip_near and clip_far properties. Simply rightclick and assign a new bezier_float controller. they are now animatable again. this workaround is all I can offer right now, but I will adjust the script. b) go to customize- add system paths. Now add the startup script as a 3rd party plugin. this is similar to placing it into the startup folder. restart max now. Thank you very much ! It work like a charm ! Just one more question, when I create the stereo cams, with my vray cam selected, it gives me a bit diferent FOV on the resulting cameras, is there a way to make them match perfectly without bracking it up in the curve editor ? Thank you again for a great script, as soon as I have my stereoscopic animation I let you know. I’m new this blog , stumbled across It searching for a plugin using 3d max. I’ve never been so happy to find a blog like this before. I think this is the best rig ever, knowing that the industry is going to be demanding 3d renders in the next few years I’m glad we can work as a team together, that’s how I see this blog. I hope when all your bugs are squished you will have this rig for sale to the public so I can get my Boss to purchase it. Even better would be if 3d max and autodesk approve this as part of the software. It will be gigot needed this year by many artists, I myself am an architect and need to push out renders, but clients love real 3d so this rig has helped in many ways. Prior to this rig I have used two vray cameras side by side which also works very well but this rig has more features so I am learning them. David please could you help me by telling me how to replace or change your camras with vray physical cameras? I’m using max 2011 and vray sp 1.5 on a 64bit windows 7 machine. Using nvidia 3d vision and 22inch samsung sync master. By helping me custom your rig I can further use solid rocks to render through your rig. Solid rocks calculates all the environment settings so there’s no need to setup all the stuff. Your rig would work wonders with those two combined. Once I have figured this out I will be more than happy to share my best renders on your site;) happy news years bloggers and David the best 3d rig ever. Hope my post had enough keywords to help others find this amazing site. Hi Wayne. Thank you very much for your long and extremely motivating comment. I am glad you like the rig and my blog. It is always great to hear that it is beeing put to good use at some company. I would love to take a look at your renders. I am working on the next version which will look similar but will work very different under the hood. And it will also come with a bunch of new features and workflow enhancements. It is still going to be free (and hopfully bugfree as well) but I plan on writing a pro version which will be for sale. I hope people will be interested and willing to pay for it. Solid rocks looks really good. I should take a closer look at that. Creating the rig with vray physical cameras is easy. You must start with a vray camera already selected in your scene. If you run the script the rig will be positioned at the same spot, share the animation, and will be vray cams instead of standard cameras. To speed up rendering you should use the vray stereoscopic helper instead of the default rendering method. Place one in the scene and select it with the pickbuttom from the stereo rig. Doing so will yield better quality renders at less rendertime. please help, I have problems with “render stereo”. I guess its a render path problem, but how can I define paths for both cameras?? hi. that’s a known bug. I will fix it as soon as possible. Sorry for the inconvenience caused by this. just wanted to ask, if you see a possibility to fix the “render stereo” error. I would really like to try some renderings with your soft. Just a quick question to see if you have any plans to develop this further to include some of the more recent lens options, such as trioscopic and inficolor? Dear David, I love your script, it is really helpful. I do have some questions, maybe you could help me? 2. 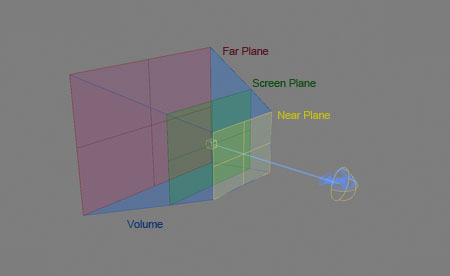 If the output of the movie is not a cinema screen, but a Powerwall or any other projection surface smaller than a large cinema screen, could you provide a formula then how to calculate the preset of near and far parallax limits? Should it be something in between computer screen and cinema screen or should one go with cinema? -The screenshot shows the cinema preset, but with different values in there, should be near 18, far 20 according to your maxscript file? -I mix the values when I read “cinema screen: +18 by -20″, but the preset is near (neg.) 18, far (pos) 20). Should the plus and minus signs in the help file text be exchanged? -Computer screen preset is written wrong here: should be 20 near and 40 far and not: “computer screen: +40 by -18″? hy there everyone. No doubt this script is rocking…. i have a minor issue if someone have noticed. when i have roll in my camera and i create rig from script it doesn\’t create proper roll from original camera. when i set it manulay the offset of camera changes……. any help would be appreciable………. After posting my last message, I have now read your help file PROPERLY !!! and have found the Quick Viewport Preview (right-click the Preview button). This is now the most perfect stereo rig out there!! It is, I have to say, better than Louis Marcoux’s script… sorry Mr Marcoux!! Well done David/3dHippie for such a great script. It’s being very well used here. I used this script to render a five-minute short movie and I love it. Its pretty nice to use and anything u can imagine is posible with it. From this project on we will use it for all future projects. may by also for some series. Dear Herr Shelton, I love your script, and used it to great success in creating a short 3D documentary. Now I am trying to create a feature-length doc with it, but I am having a problem. In the past, when I clicked on the scene camera and ran your script, it allowed me to create the stereoscopic rig at the position of the old camera, and the rig would automatically inherit all the original camera’s animation. However, now when I try it, it asks me the same question, about placing it on the original camera. However, the rig no longer inherits the animation. I don’t think I’m doing anything different; however, the PC is new, I’ve moved from 3DS Max ’11 to ’12, and I downloaded the script again, so I don’t know if any of these factors have changed the function. Thanks for any help you can give! Hi, I am using composite maareitl for an object and i need semi transparent alpha for the same but some how it is not coming and for another object i have reduced the refraction glossiness value then also i am facing the same issue. If i make the glossiness 1 it is coming fine but i am not getting any solution for composite maareitl. Can anyone help me in this?? I see this script has come a long way since I started using it with 1.6. Vertical interlacing would be nice, also, not sure if this is a glitch or it\’s something I\’m doing but I use Iray and it doesn\’t seem to render right in the window. Not really a problem because left and right can be rendered manually and merged, but does slow work flow. I tested your previous version of the script and this new version is wonderfull, thank you for all your work. I need to report you some bug with the 2.1.2. version, you see if you choose the composite option and then render lets say a 30 frames animation, 30 for the right frames and 30 for the left, it will composite very well at the end, however if you choose the option to skip existing images, lets say for an 10 000 frames animation, it will simply not compose them, it will compose ONLY the frames that it renders at the moment you clicked the render button, but if you have prerenders of some of the frames it will not compose them.